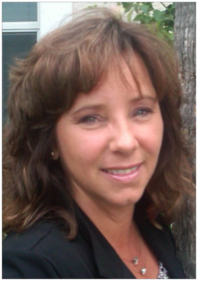 Barbara has worked 19 years to growing two (2) successful electrical service business. Now she is ready to share her secrets for success with the electrical and trades industry. She designs and delivers training specifically for the small business electrical service industry. She knows how to increase sales on a limited marketing budget. And she has the experience to teach business owners and their team members how to do it! She grew her own electrical service company – from 0 to over a million dollars in sales in less than 6 years on a limited marketing budget. She is currently CEO & Sales and Marketing Manager for her son’s Electrical Service Business- Speedy Electric and has increased sales 71% in the second year keeping marketing expense under 10% of gross sales. She now mentors her son Jesse, a Master Electrician, as he becomes his own Entrepreneur with an Electrical Service Business. Barbara is a motivational speaker who now shares her expertise with the electrical trade industry. She delivers simple back-to-basics customized training sessions on “how to” grow a service business. Her “How To” Shoppe provides training classes and business skill development for electricians who desire to become business owners. These programs also assist business owners in helping their employees to work as a team to build a strong, successful Electrical Service Business.